In December 2018 we started our one year USA road trip and we want you to help shape our journey. 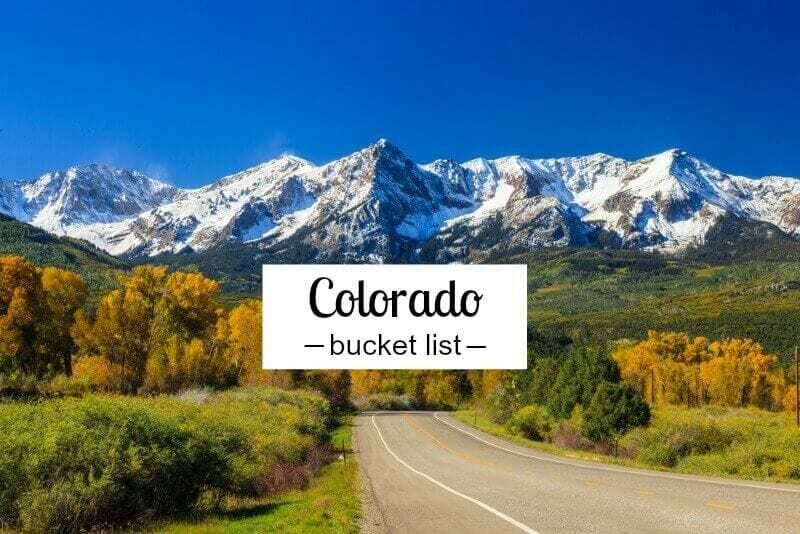 Today we want you to help us create our things to do in Colorado bucket list. Our America Unplugged road trip is all about discovering the real America. To unplug the hidden secrets and go beyond the flashing neon lights of Vegas, Hollywood Boulevard and the skyscrapers of NYC. This is where you can share in our journey. We want to know your local favorites and the hidden gems in your backyard? What are the backroads to take and the mom and pop stores to visit? Sure, we still want to visit the obvious Colorado destinations like Denver and Rocky Mountain National Park, but can you suggest other places to visit in Colorado? What is Colorado known for? 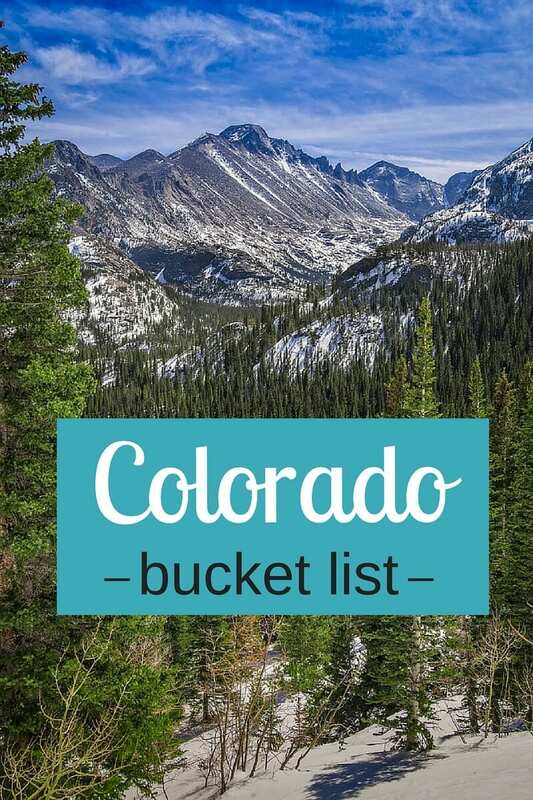 We can’t wait to read about your insider tips on things to do in Colorado! You can join our journey by jumping in our virtual suitcase. Thousands of others in our VIP email community already receive a personal email message once per week plus links to our most recent blog posts so you don’t miss a thing. Hi-I’ve lived in Colorado for 18 years and love it still. Some of my favorite places to visit are Hanging Lake near Glenwood Springs and Garden of the Gods in Colorado Springs. They both are kid friendly and have campgrounds quite close. Enjoy your adventure! Sounds good about Hanging Lake and Garden of the Gods being kid friendly with campgrounds. Thanks for the tips! Appreciate your insider tips. They all sound awesome. Definitely keen to get stuck into some mountain biking and hiking and exploring the national parks. Bishops Castle is on my bucketlist. The guy has been building it for years! Hey Lill, now that sounds like an interesting festival haha. And I just looked up Bishops Castle, wow, 40 years, that’s some project. Love Bishop’s Castle…quite the experience. Be careful of Frozen Dead Guy Days, while I have not been there during the Festival (the town is adorable and fun), I have heard that the actual festival may be a little much for kiddos! Ok. Copy that on Frozen Dead Guy Days, lol. * Best dining in Boulder is “The Kitchen”. Do not miss it. Nearly as good are “L’Atelier” and “Riff’s Urban Fair”, They are all on the same walking street (Pearl Street). Personally I also like Dushanbe Teahouse for rather rare at USA Central Asia ambience. * Flat Top Mountains (about 20 km west of Yampa on FR 7, near Bear lakes). This is one of my favorite places of Colorado for some relaxing hiking. Unless you do famous Devil’s Staircase trail, terrain is relatively flat here (for mountains), and the places are at its best in wildflower season (end of June – end of July). Choice of lodging is limited and are not in the very vicinity of hiking areas, primitive camping is free, but on a first come/first serve basis. The places are pretty popular with “those who understand”, so do your research aforehead and come prepared. – Do alpine rollercoaster or super-slide (good for children). It is on the slopes near gondola. – Frisbee golf on the mountain slopes (available summertime at most ski resorts in Colorado). Better bring you own frisbees, though, cause rentals aren’t always available. – McCullough Gulch or Monte-Cristo creek. Both are accessible via gravel roads. Access is about 6 miles drive south of Breckenridge on Rt.9 (one mile past Blue River), then few miles west from here up Rd. 851 to McCullough Gulch or Rd. – 850 to Monte-Cristo creek and Blue Lake. Hike up the creeks. Waterfalls. Scenic. * – Bristlecone pines. It is again south on Rt.9 (about 10 miles toward Alma), then about 6-7 miles west from here, on Rt. 8, as I recall. Follow signs. Hiking. Impressive. * – Moscuito pass. Scenic. Drive Rt. 9 south to Alma, then west on Rt.12 (gravel) for as long as you can, preferably to the big old abandoned mine (new London Mine, my guess). If your 4WD vehicle is good, you are a good driver and the road is in OK condition, you may get all the way across the pass to Leadville along the Rt.12. and then return to Breckenridge via Rt.91 (it is a very scenic road with many hiking options along it. Operational copper mine above Copper Mountain resort is very impressive, too) and I-70. *- Raft Arkansas, Colorado, Eagle, Clear Creek or Blue rivers. Many outfitters that run this rivers are well within one-two hours drive from Denver. Check outfitters reviews before going. Colorado river may be pretty murky anytime, but winter. Arkansas and Eagle rivers usually has a clear(er) waters during summer. Clear Creek and Blue rivers are usually nice blue (and the coldest). Blue river is for novices. Arkansas and Eagle may be much more interesting. However, for that reason Arkansas is usually totally overcrowded with rafters at any location. – Arapahoe basin ski area may be open for skiing till late June. Good opportunity to ski in your swimsuits there. – You may book a tour at any of old or operative gold, copper or other mines throughout the area. Leadville has a good mining history museum. * – Drive up Mt. Evans. Panoramas from there are gorgeous (better, then those from much more popular Pikes Peak). In summer it is usually a good opportunity to see mountain goats here in numbers. Bring binoculars. –	Gore creek trail. Access from Vail pass summit (I-70). Can be combined with visit to Vail for lunch or dinner (Higher rated by Yelp restaurants in Vail better should be reserved well in advance even in summer). – Missoury lakes trail. It is less visited trail, one of many in this particular wilderness area between Vail and Aspen. A lot of marmots are here in summer. * – Independent pass (mountain pass between Leadville and Aspen). Scenic drive. Many hiking trails from the summit and on both sides of the pass. Full day driving loop can be done if you proceed via the pass to Aspen (gondola ride up the Aspen mountain there may be fun), then to Steamboat (may get to a hot springs spa there. * – Maroon Bells trails. Very scenic, about 10 miles from Aspen. Allow whole day if you want to hike to upper lakes. Midday access is limited for private cars (drive in by your own car is either very early (before 8am) or very late (after 4 (?) pm) in the day, shuttle buses from Aspen runs regularly between this hours). * – Hanging Lake trail (right off I-70 between Gypsum and Glenwood Springs). Lost creek loop trail (part of it, at least). Very scenic, but difficult climb. * – Royal Gorge Bridge. Gorgeous, but rather touristy destination. May be combined with Arkansas river rafting trip. Or, alternatively, may be combined with a loop drive via Colorado Springs. * – Colorado Springs Garden of Gods NP is a very scenic must to visit destination. – Pikes peak scenic drive is nice, but not overwhelmingly impressive, though (in my view). Beware of altitude sickness on top. – US AirForce Academy Chapel is also fun to visit. * – Good places to eat are numerous at Manitou Springs near Colorado Springs. Do not miss free mineral water springs at Manitou Springs, a lot of free water wells are throughout the town. Also the town was right by the epicenter of great Colorado fire of Y2013 (escaped miraculously untouched). * – Black Canyon of Gunnison NP. Scenic canyon, some scenic sections of the roads. Must see. Southern access is more scenic, in my view. * – Really good summer concerts are performed each summer in Central City, Co. Check schedules. * – Colorado National Monument near Grand Junction. Must see (actually, must drive scenic road). Don’t miss a chance to buy famous Grand Junction cherries in season (June-July) at town markets. – Grand Mesa National Recreational area. Nice cluster of alpine lakes, good for hiking and camping, in summer provides a cool oasis for relaxing and enjoying an open conifer forest environment. * – Great Sand Dunes NP. Absolutely wonderful place, highest sand dunes in USA (sandboarding is popular here, boards can be purchased on place), in spring and early summer small creek by the dunes is not run dry and looks extremely nice. Choice of lodgings is limited. Camping is OK, but I’d suggest staying at Great Sand Dunes Lodge here (book in advance, it is the only lodging nearby). For really adventurous, class 2 mountain pass road goes east of the place and is very funny to drive. If you are not familiar with 4WD mountain pass classification, here it is: There are difficulty levels classed 1 through 10, where 10 means your car has 100% chance of overturning, and 1 means you have just 10% chances of being overturned. I did some of the passes (including this one) and will tell for sure that anything above class 2 is not for a normal human, but for an absolute adrenaline rushers. I think I did ski every (or most) ski resorts in that state and is happy to share my impressions. If you are not prone to altitude sickness, it is plenty of really nice slopes to choose from in the state. Just keep in mind that base (!) elevations for most skiable areas are at or above 2,500 meters. Due to that, as I am getting more and more out of form, skiing in Colorado is not as much fun as it was when I was younger. As for resorts, most people prefer Vail. I am not. It has really nice slopes facing away from interstate I-75, but to get to it you have to use at least two (actually three) ski lifts and do a lot of slope traversing, which is not always funny, cause winds may be really treacherous there. My favorite ski areas in the state are Winter Park, Snowmass, Telluride, Breckenridge and Copper Mountain, in that exact order. Winter Park and Telluride, being world-class large resorts, strangely provide some sense of coziness and you feel there like at home (never felt that in Vail). Snowmass and Breckenridge have probably the best infrastructure and logistic from all Colorado resorts and the best choice of ski-in/ski-out accommodations. Copper Mountain is extremely conveniently located and slopes are very easy to navigate. On pair with Copper Mountain is Keystone Resort, ski-slope mountain views here are nearly as good as in Winter Park. Beaver Creek is similar to Vail, (good trails are long lift rides away from the base, nearby slopes are very steep and may be icy). Loveland Pass and Arapahoe Basin are for late season skiing; slopes are pretty steep at both resorts. Eldora is a small and easy resort closest to Boulder, and is very nice during middays (avoid it on weekends, same is true for Vail, Keystone, Breckenridge, Loveland and Copper Mountain). Other notable resorts are Monarch Pass (one day is enough to ski it through), Steamboat Springs (very nice resort in term of slopes but is on permanent renovation for nearly 25 years now; seems that it dilapidates faster, than grows), Crested Butte (nice place, but far away from everything, rich people now like it even more, than Aspen), Aspen (cheeky, fur-coat skiing, very steep slopes, and not many of them), Aspen Highlands (good for one day ski trip, can be combined with Snowmass and Aspen, though), Durango and Powderhorn are small local resorts with unpredictable snow. I’d like to give you more info about your upcoming trip, but starting this weekend for the next three months I am in Australia (!) and not sure how good Internet access will be there on West and North Coasts, where I’ll spend good half of the trip. Please, don’t hesitate to E-mail me, I hope to be able to check my mails more or less regularly. We’re really loving your “5 cent” comments on all our American posts. You’ve done some traveling that’s for sure!! Great insider tips once again, you’ve given us a lot of awesome info here and will be referring back to this post for sure before we hit Colorado. Cheers mate! We loved camping and exploring Great Sand Dunes National Park. Head west from there and stop at Pagosa Springs for a soak in their hot springs. Even farther west from there is Mesa Verde National Park with excellent camping. Head north and camp near Telluride. You can ride the free gondola. In the summer they have an outdoor jazz festival. Colorado National monument is also a beautiful place to camp. We love a good hot spring. And Mesa Verde keeps popping up as a suggestion so definitely want to check that park out. Appreciate the other tips too! Great list. Thanks for sharing. Would love to visit in winter & the warmer months. Hey Ryan, thanks so much for suggesting the Western Slope area, never heard of it but love the sound of farm-to-table. And wow that drive sounds awesome too. Hopefully we can time it right! Glad to help. If you’re looking for family activities, consider picking your own fruit (apples/peaches/etc) with the kids around harvest time in Paonia or nearby Hotchkiss or Palisade. The kids would enjoy that. One of our favorite must do activities when in Colorado is to ride the Durango & Silverton Narrow Gauge Railroad. You ride 45 miles on an historic train on rails originally laid in 1882. You will travel from the town of Durango to the mining town of Silverton along the Animas River through beautiful wilderness not accessible by roads. It’s an awesome ride! Hi Barbara, that Durango to Silverton train ride sounds tops for a family. We definitely love getting out in the wilderness. Appreciate you sharing that tip! Hey Marcos, thanks for following along. Hopefully we can not only inspire you to visit Colorado and other places in the US but show you how to as well. Happy travels. As a Colorado Native, you really can’t go wrong with most any place here! Winter or summer we see a lot of sunshine and we love getting outdoors. I know it isn’t popular because you will likely get food poisoning but seriously, Casa Bonita is worth the adventure, but you don’t go for the food! Read Yelp reviews and you will see what I mean! Also, we love the Cheyenne Mountain Zoo, it is on the side of the Mountain so be prepared to hike it but it is a neat zoo. White Fence Farm is a favorite of our kids. It is super cute, has a petting zoo, a fun playground, cute little shops and lots for the kids to do and see while you wait. Personally, we love the food too! The Sand Dunes are fun, we love going in early July, when the river is still there. Our kids LOVE playing in the water. Don’t forget to do the Jr Ranger Program there! If you are here in the summer, you need to hit up Water World! And a smaller version is Pirate’s Cove. Both great water parks. Hammond’s is a small candy factory that has a short and fun tour. I could go on and on, more than I already have! Just be careful, people have a way of visiting Colorado and never wanting to leave! Thanks for all the great tips Diana. Love the sound of lots of sunshine in either summer or winter. And I can only imagine that many people who visit, never want to leave! Hi, my husband and I travelled through 17 U.S states last june/july and we loved every second and everything about America! Our first stop in colarado was Alamosa and the great sanddunes. The Campus Cafe there has handsdown the best cinnabun scroll we are ever likely to have. Glenwood Springs, Durango, Salida lovely. Independence Pass was beautiful and we also went white water rafting in Canon City through the Arkansas River. Can’t wait to go back again one day! Hey Kristy, thanks for the heads up on Alamosa, sounds cool. And we love a bit of white water rafting, will have to check that out. Frisco is an absolutely beautiful city in the mountains! Cheers Mahee. Looking forward to spending time in the mountains. Skiing at Steamboat Springs… The skiing is awesome, like most places in Colorado, but you also can relax in natural outdoor hot springs after are hard days skiing. It was snowing while we were in the 40 degree plus springs – a great experience. Oooh, natural outdoor hot springs and snowing sounds incredible. Cheers Nick! Do a couple nights in a hike in only 10th mountain division hit. We like the Fowler hut in the summer as you can pick wild mushrooms everywhere. Love the ghost town a few miles behind Silverton, my kids love running in and out of old mining houses. Then you 4 wheel drive over the pass, rent a Rzr for this whole day. Splash park at Union station downtown Denver is fun for kiddos, you can even take the train too it if you don’t want to drive downtown. Frozen dead guy days was in May I think and my young kids loved it. Thanks for the great tips Kristi. Colorado is ticking a lot of boxes. Thank you Kim for your tips on things to do in Colorado! Take the back roads as often as possible and get off the main highways. As with most countries, you miss a lot! The old town centers and feel of what goes on in “old” America is still pulsating in these little towns that you would miss if you only took the big highways. Try to see as many National Parks as possible, they really are the gems of America. Have fun! Great advice Ali that we will be following. Love taking the back roads and exploring small towns and visiting National Parks. Excited for Colorado! Garden of the Gods is an amazing site to see! Don’t miss Mesa Verde National Park. Your girls can take part in a Junior Ranger Program. Kids love it. Hey Renato, sounds good about that Junior Ranger program. Cheers. Definitely take a dip in the hot springs in Colorado! -Durango / Silverton Narrow Gauge Train – ride the train one way, roundtrip or take it to the middle of nowhere, get off, and backpack. It’s incredible…the area is called Weminuche or Chicago Basin. -Palisade Wine Tasting or even better, go to Colorado Mountain Wine Festival held every Sept. Colorado’s largest wine tasting event. It is a blast and such a beautiful area. It’s only 10 min from Grand Junction. -Crested Butte – free camping along the slate river. The scenery here is amazing. -Creede/Lake City area – Creede is incredible, old mines, small town. So much more……Shoot me an email if you have questions. 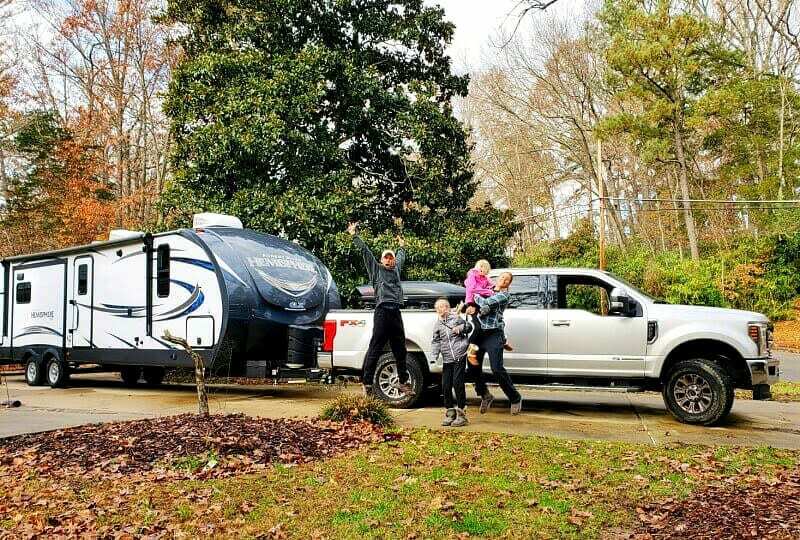 Our family of 4 is hitting the road in June for a year or more. Going to travel around the US to start (Pacific NW and Canada – 150th anni…free admission to all national parks!!). Maybe we will see you out there! My family spent a week in Colorado (boulder, estes park and colorado springs) in October and loved it so much we are thinking of moving there! I have a 2 year old and 5 year old. I just started a travel blog since we have been traveling a lot (it is a passion of mine) and we are getting ready to halt life and travel the US for a year as well. I wrote about our trip here (www.coloringthemap.com/colorado/). The Colorado Springs Zoo is amazing and RMNP is phenomenal. Hope you have fun! Thanks Erin. I know what you mean about wanting to live in Colorado, it made that impression on us too on our brief previous visits. Enjoy your travels around the US. Blues from the Top. Outstanding Blues Festival in Winter Park the last weekend in June. Outdoors with the Rockies at your back, 70 degrees. Take an extra day and explore hike Rocky Mtn Nat Park. I don’t have any tips to share but I appreciate this post; definitely some good ideas to look into when I have the chance! We hope you will add whitewater rafting to the bucket list and join us for an adventure! Try to attend the Frozen Dead Guy Festival in Nederland, CO! I grew up in Colorado Springs and love Colorado! Of course Garden of the Gods and the Cheyenne Mountain Zoo. Manitou Springs is great to visit and has a different vibe to it. You can climb the Manitou Incline. Great Sand Dunes National Park. St. Elmo Ghost Town. Cripple Creek. Phantom Canyon Road-Really nice drive and is fabulous in the fall. Bishops Castle. Independence pass on the way to Aspen and Snowmass. Maroon Bells, Rocky Mountain National Park. Estes Park. Wolf Sanctuary in Divide, CO. Woodland Park, CO. Ouray, CO. 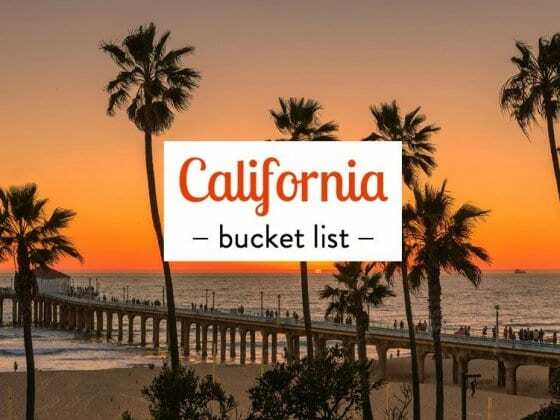 I see this post was from a while ago, have you already made it to the USA and worked on your bucket list? 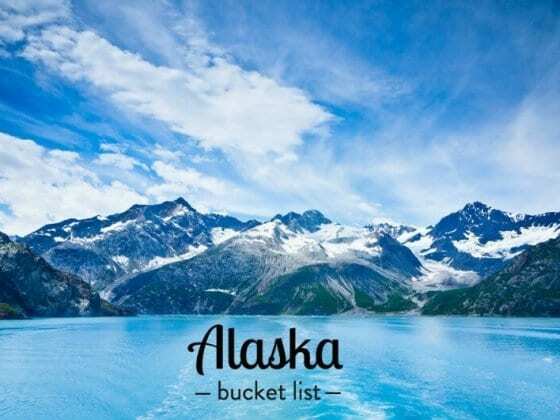 There is so much to see and do in this beautiful state we could go on and on with suggestions. Thanks for your great tips. We are currently based in North Carolina, have been in the US for 3 months now, and planning to be in Colorado hopefully for some skiing this coming winter, and then again next year in the warmer months. Looking forward to ticking off everyone’s great suggestions! I’m a Colorado Native! 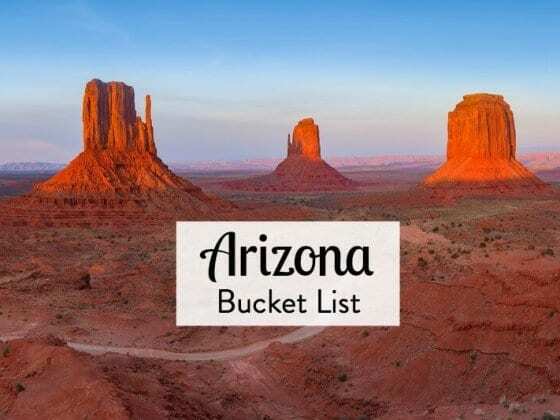 I have to say at the top of my list is camping in Ouray or Lake City and ATVing or Jeeping the Alpine loop and making sure to try to get over California Pass and stopping to explore Animas Forks along the way! We came for a visit & are now moving to Colorado! Our fav place to visit is Steamboat Springs natural Hot Springs. Beautiful scenery & peaceful environment. My parents live in Creede, CO. It is beautiful! It has an old amethyst mine that is open to the public, a drive around Bachelor Loop to see remains of the old mining town up in the mountains, Hansen’s Mill, too many day hikes to mention and if you’re RV’ing, a fabulous RV park a walks distance to town. Creede sits right on the Rio Grande River. So try your hand at fly fishing or rafting. Email me and let me know when you’re coming through and I’ll try to make sure our family is there to give you a tour! Sara! I grew up there and my parents still have a place there! Definitely worth a few days of exploring there. Don’t forget a night at the Repertory theatre. Cheers! Interpretive Paint Mines in Calhan Co. Absolutely beautiful. Only 4 miles of trail but you get to see all of the beautiful colors of clay and get amazing views of the rock formations up close along with the views of the mountains in the distance. We went on our fist hike there and it wonderful we watched a big storm system form in the distant mountains and watched it roll in before we decided it was getting too close and left. Steamboat Springs-Fish Creek Falls and Strawberry Hot Springs!